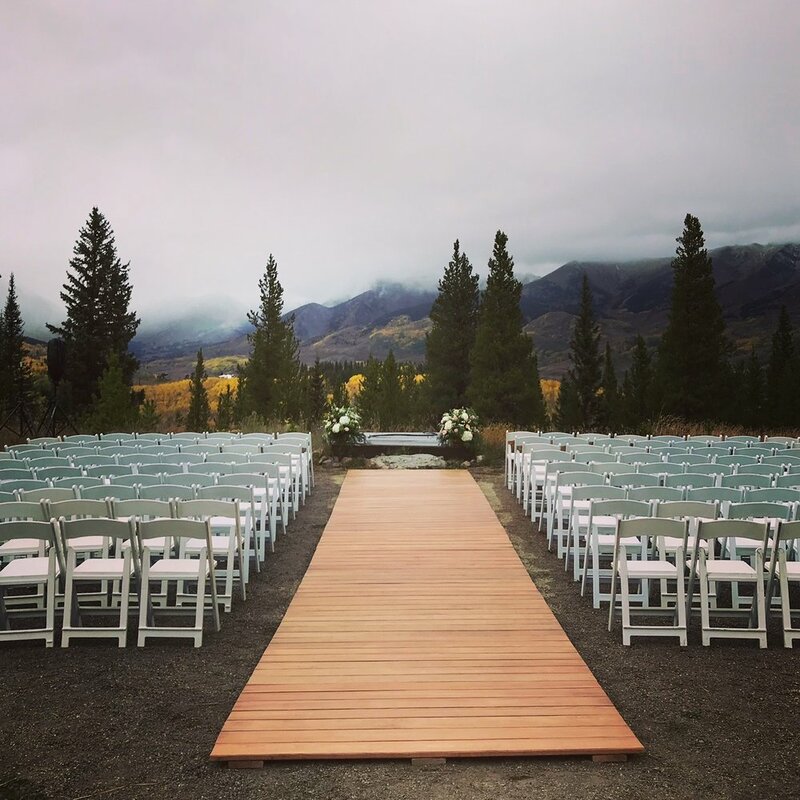 Having an outdoor wedding ceremony or need a pathway out of the mud to and from locations? Our wooden aisle provides a solid flat surface so you can be sure footed and stay clean. Our portable aisle measures out to six feet wide, thirty five feet long, and is set up in three and a half foot sections.